Page 12 and 13: THE VALLEY BUSINESS JOURNAL 12 www. Page 14 and 15: THE VALLEY BUSINESS JOURNAL 14 www. Page 16 and 17: THE VALLEY BUSINESS JOURNAL 16 www. Page 18 and 19: THE VALLEY BUSINESS JOURNAL 18 www. 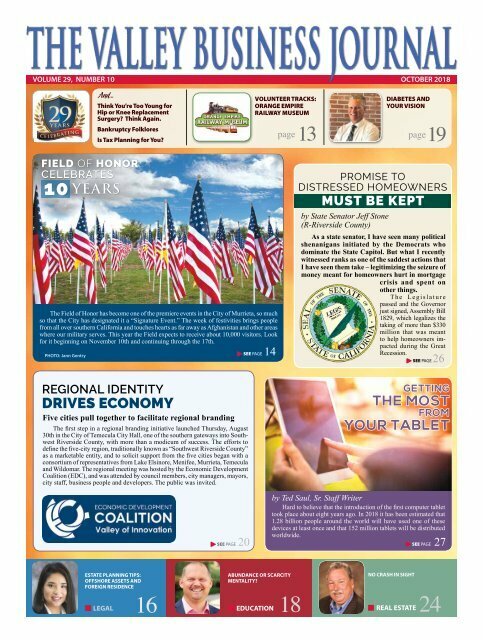 Page 20 and 21: THE VALLEY BUSINESS JOURNAL 20 www. Page 22 and 23: THE VALLEY BUSINESS JOURNAL 22 www. Page 24 and 25: THE VALLEY BUSINESS JOURNAL 24 www. Page 26 and 27: THE VALLEY BUSINESS JOURNAL 26 www. Page 30 and 31: THE VALLEY BUSINESS JOURNAL 30 www.